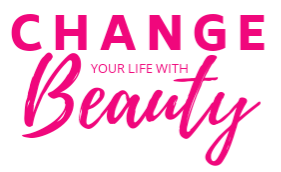 The Change Your Life with Beauty Show! Do you prefer red lipstick or pink lipstick for date night? Do you think it is the parent’s fault if a child is successful or not? Thoughts? With our day and age I feel as if online dating takes away the pressure of making the first move and getting rejected. Rejection from a dating site just reassures that they’re are more fish out there in the sea. Date night topic: I say both depending on the location and mood. Out dancing, a nice restaurant and maybe even a movie..Go with RED because it sultry and sensual! Bowling, picnic, out for ice cream oe double dating I’d choose pink because it’s flirty, girly and could bring out the inner playful side. Being responsible for a child’s success…”train a child up and the way he should go and he will not depart.” We all want our children to be great, so we should be there for them as much as possible to figure out what great means to them. Support goes a longggg wayyy, speak great things over them. Totally agree! Thanks for sharing Dominique!